Details: The project is coming up in Banjara hills in Hyderabad. 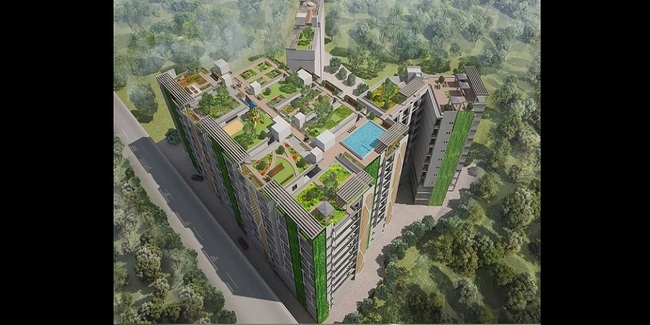 It offers 14 towers of G+8 floors, having 120 units of 3 and 4 BHK apartments. Apart from the basic amenities, the project offers Party Lawn, Banquet Hall, Conference room, CCTV Cameras, Waiting Lounge, Swimming Pool, Table Tennis, Landscape Garden, Rain Water Harvesting, etc.